An active Realtor for almost two decades and a real estate sales manager, trainer, career coach and mentor for 14+ years, Roger Morris brings an exceptional background, sharp skills and a passion for the business to his role as sales manager for the Punta Gorda and Burnt Store offices. 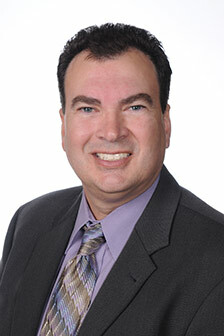 Roger began his sales management career with Prudential Real Estate in Alaska in 2000. Prior to joining Michael Saunders & Company, he worked with the Prudential Florida Realty offices in Punta Gorda and Cape Coral, and was sales manager and director of training for Coldwell Banker Sunstar-Morris in Port Charlotte. As such, he is well-versed in every aspect of the Charlotte County market, and brings an accomplished perspective to his position. His focus is to help members of his team achieve maximum levels of success in their day-to-day businesses; as well as to mentor new agents in launching successful careers. Prior to entering the real estate field, Roger worked as an economic development specialist with the Southwest Alaska Municipal Conference; as well as with the Kodiak Chamber of Commerce, also in Alaska. Additionally, Roger’s background includes six years as a flight operations instructor, providing training to major domestic and international air carriers. He graduated from Emory University in 1987 and holds a Bachelor’s Degree in Economics. Roger lives in Cape Coral with Janet, his wife of 23 years, and their daughter Katherine, a high school freshman. He enjoys boating, cycling, reading, and spending time with his family.